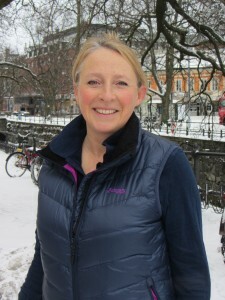 Rumour has it, our Copy Editor hasn’t taken off her Bergans down gilet since taking delivery of it earlier this month. Bergans of Norway has long been recognised as one of the world’s leading manufacturers of outdoor equipment and functional clothing. Over 100 years ago, Ole F. Bergan invented the framed rucksack. Such was their quality, that explorers Amundsen, Scott, Shackleton and Hillary all used Bergans rucksacks. But why wear ‘down?’ we hear you ask… it’s not that cheap! Of all natural materials, down provides more warmth for its weight. It also breaths very well, and acts as a better regulator of temperature than equivalent synthetic fillings. It will also outlast synthetic materials and, as well as keeping you warmer, you are less likely to overhead in a down garment.